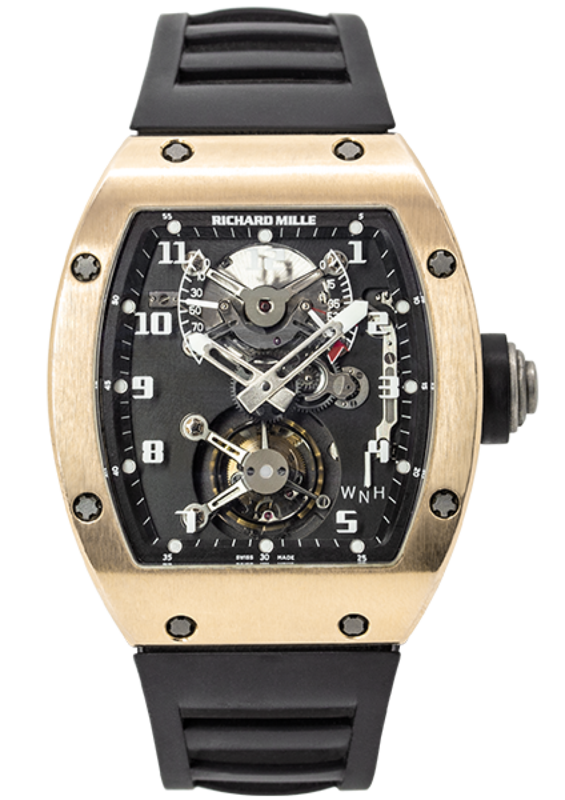 Pre-owned Richard Mille RM 002 V1 Tourbillon Rose Gold AE PG. 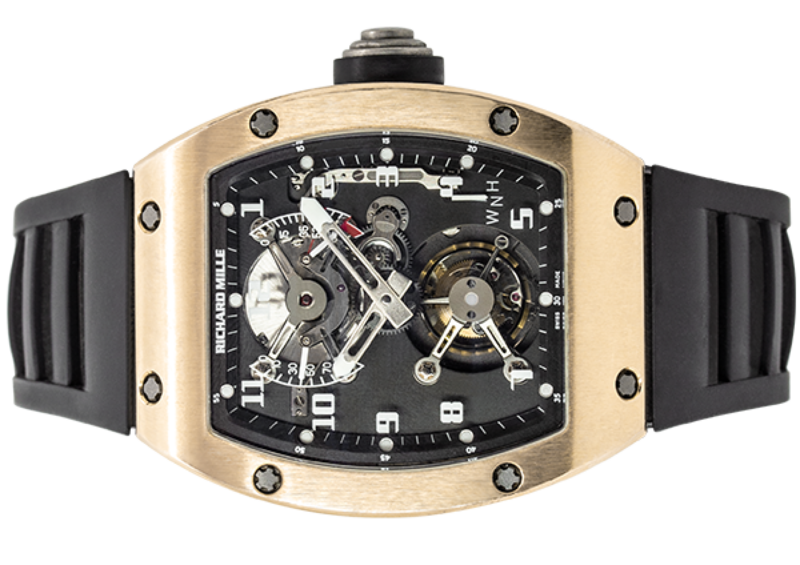 40mm 18ct rose gold case, grey dial with manual winding tourbillon calibre RM 002-V2 movement with hours, minutes, power reserve, torque indicator and function selector, sapphire crystal glass and caseback, on a black rubber strap which fastens with an 18ct rose gold double folding clasp. 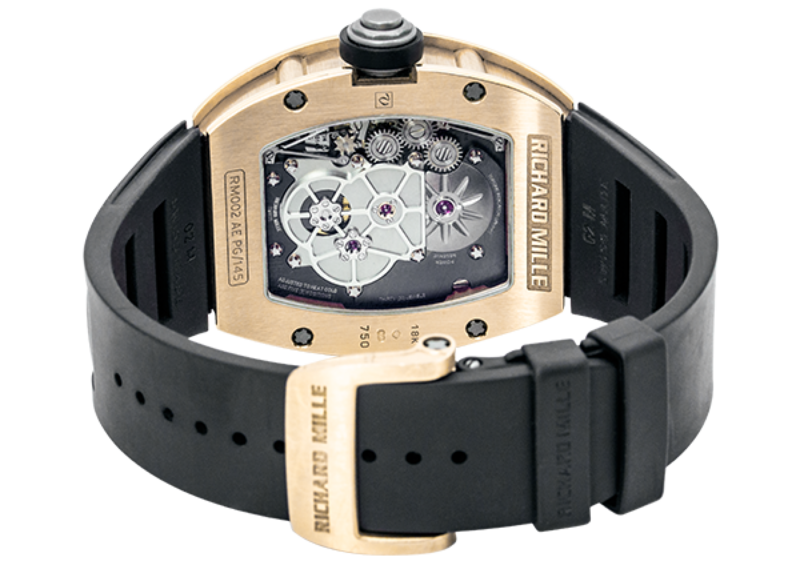 The watch undertook a full Richard Mille service in 2016.